Beautifully maintained 3 bedroom, 2.5 bath home w/ bonus room in Skyline Manor. Golf front views through Pella windows & doors. Solid hardwood oak floors, cathedral ceilings and open kitchen with sapphire blue granite counter tops. The 1st floor Master Suite features a large walk-in closet, double sinks, soaking jetted Aquaaglass whirlpool tub & separate walk-in shower. 2x 50 gallon hot water heaters,Lennox 3 ton 13 seer heat pump. Insulated walls make this home energy efficient and quite. The large deck overlooks the spacious (fenced-in) backyard that's landscaped with 12 mature blueberry plants, a persimmon tree, crepe myrtles, and gardenias. 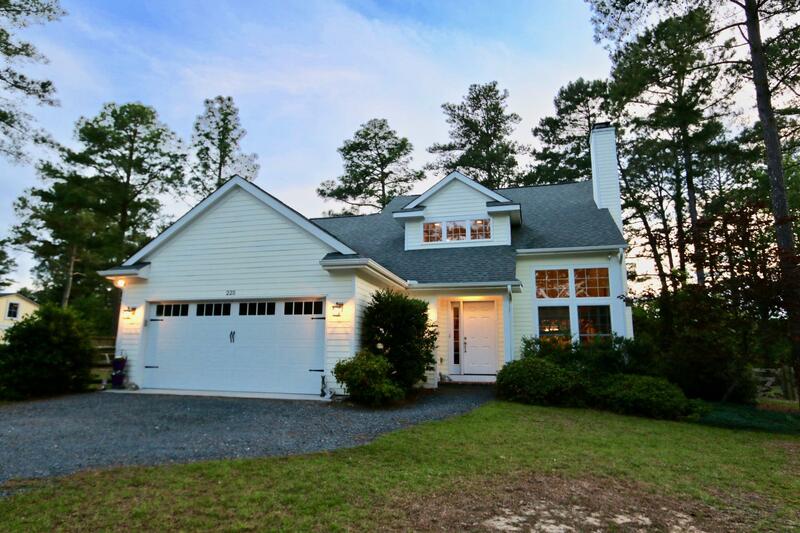 Its an added bonus that this is a Southern Pines home with NO city taxes! This home is an easy commute to Bragg & close to DT Southern Pines.